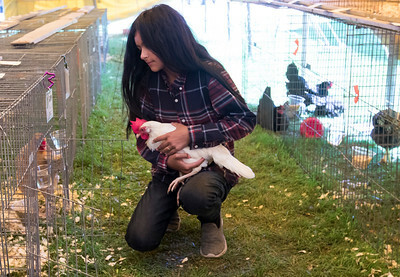 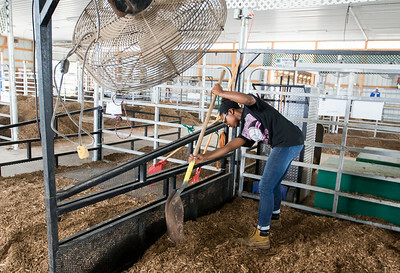 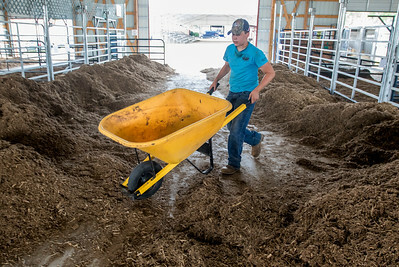 Levi Austin, 15, of Harvard places is rooster in a crate during judging at the McHenry County Fairgrounds in Woodstock Monday, July 31, 2017. 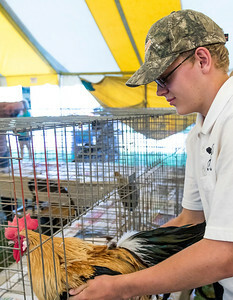 Austin is part of the Milk Center 4-H club and is showing his animals at this years McHenry County Fair. 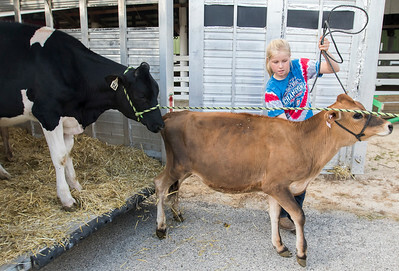 4-H is celebrating 100 years in the community this year.